Here you can find out what kind of exhibitions, sponsors event I participated in and some interviews with magazines and daily newspapers. 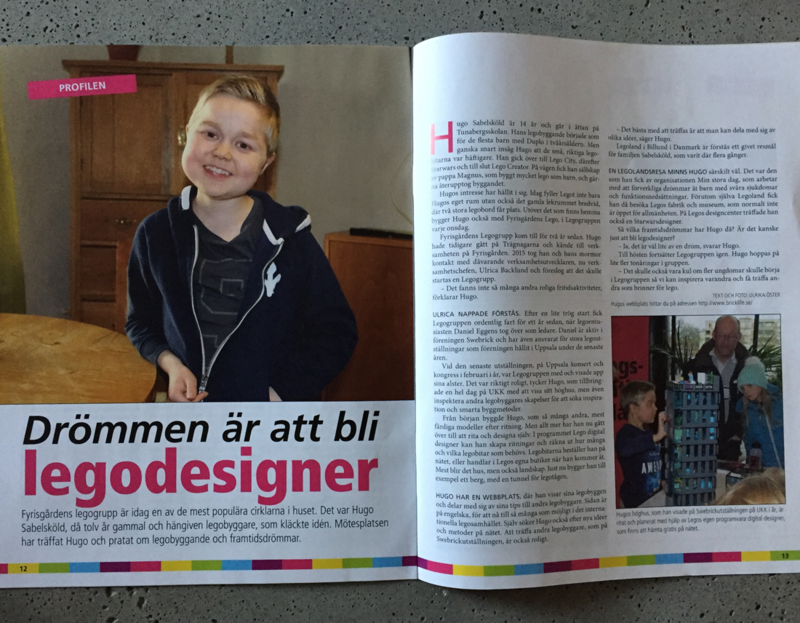 I was published with an exklusive interview in a Swedish daily newspaper Uppsala Nya Tiding. Information to my english spoken followers, the article is in Swedish. Just to give you a short summary of the reporters angle in the interview. It was my great interest for the magic bricks. It’s very common youngsters interest for Lego fades away when they become a teen. I hope I can inspire some to continue with their passion. 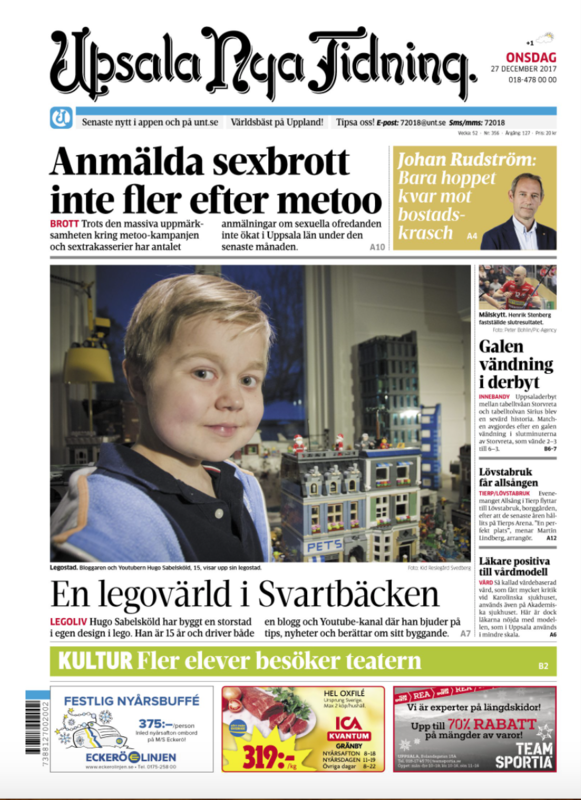 If you have any thoughts or ideas please contact me at info@bricklife.se. 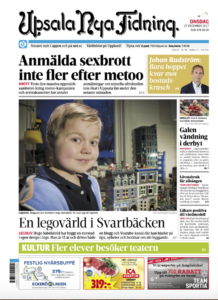 I was interviewed about the Lego group I initiated two years ago. 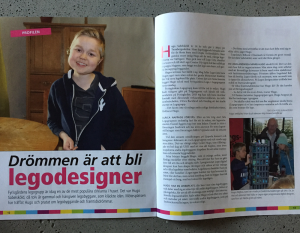 I talked about my passion for Lego and my dream to become a Lego designer. I’m happy it’s become popular and in the fall they will start another group for kids in the age 10-15. It’s a great place to meet other youths and inspire each other.